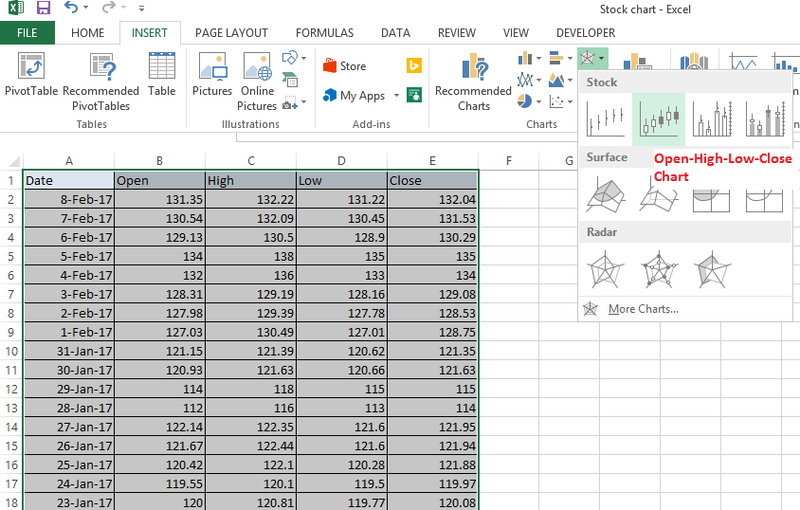 Note: For creating Stock chart in Excel, the data needs to be in a specific order. 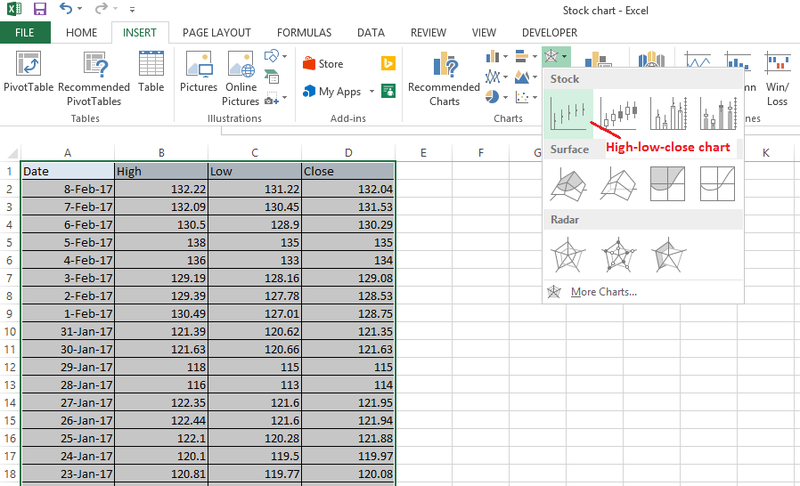 The High-Low-Close Stock chart in excel is often used to illustrate the stock prices. It requires three series of values in the following order- High, Low, and then Close. 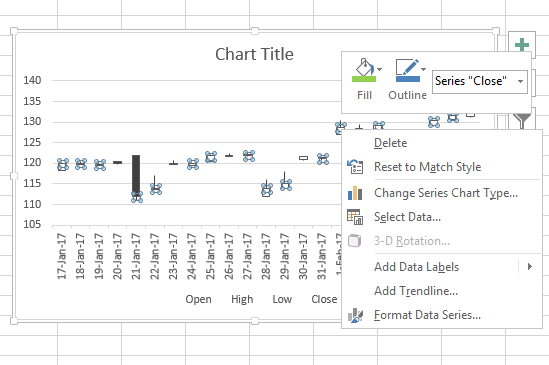 To create this Stock chart, you need to arrange the data on your sheet in order of High price, Low price and Closing price. 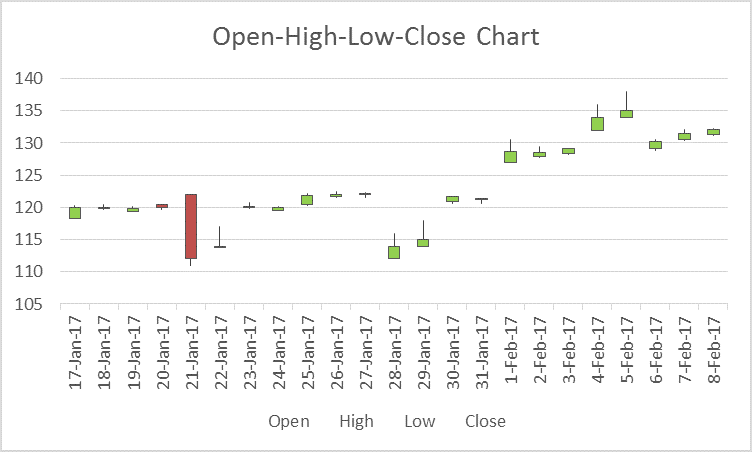 The Open-High-Low-Close Stock chart is often used to illustrate the stock prices. It is also known as candle stick chart. It requires Four series of values in the following order- Open, High, Low, and then Close. To create this candle stick chart, you need to arrange the data on your sheet in order of Open Price, High price, Low price and Closing price. 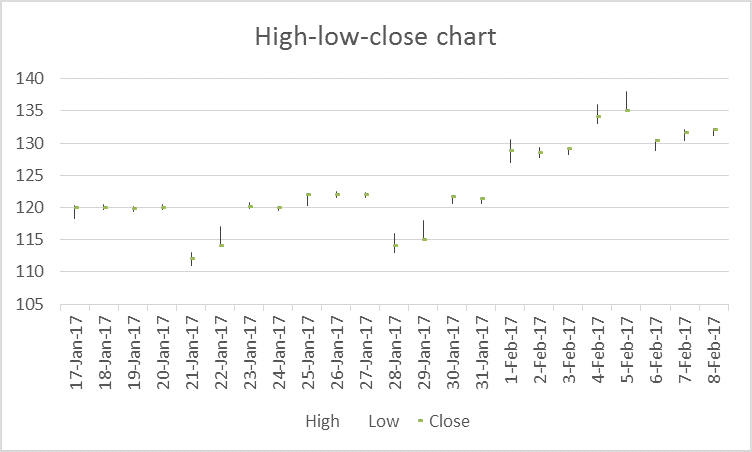 The Volume-High-Low-Close Stock chart is often used to illustrate the stock prices along with the volume traded. It requires four series of values in the following order- Volume, High, Low, and then Close. 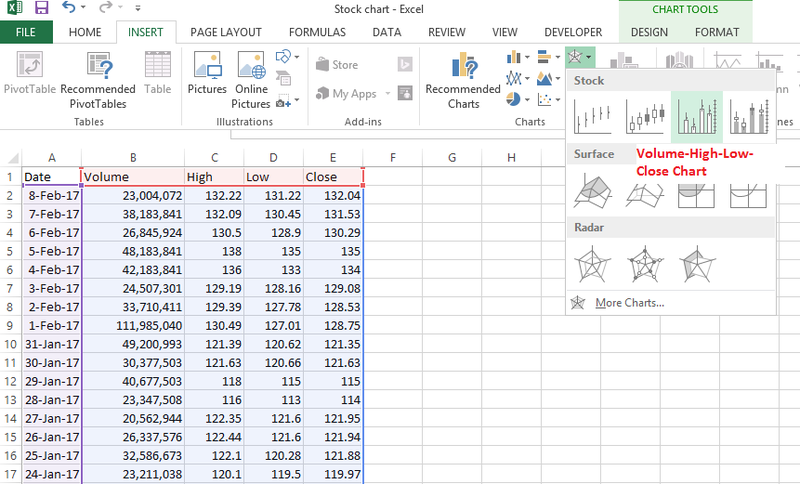 To create this Stock chart, you need to arrange the data on your sheet in order of Volume, High price, Low price and Closing price. 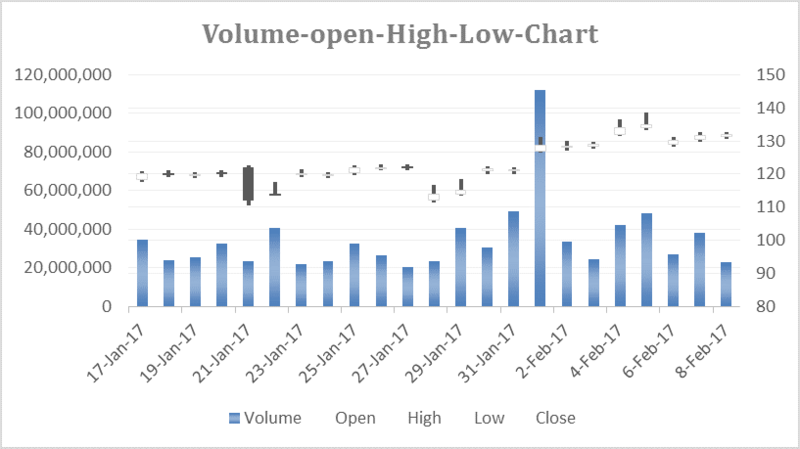 The Volume-Open-High-Low-Close Stock chart is often used to illustrate the stock prices along with volume. It requires five series of values in the following order- Volume, Open, High, Low, and then Close. 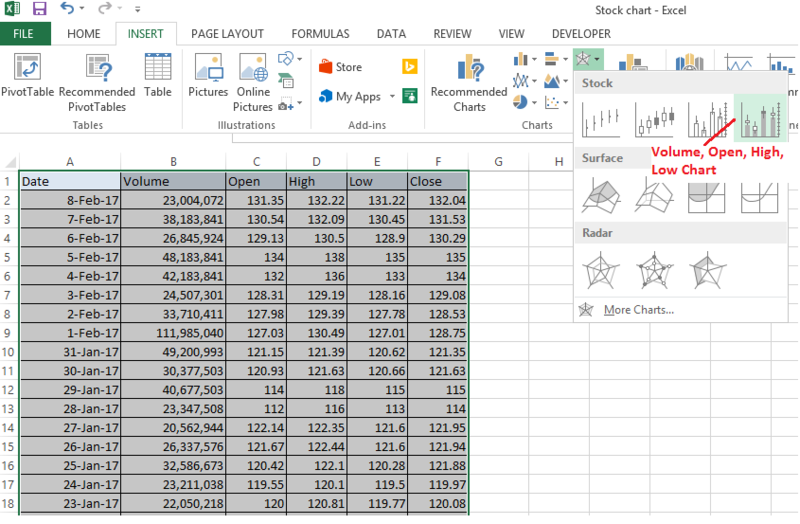 To create this Stock chart, you need to arrange the data on your sheet in order of Volume, Open Price, High price, Low price and Closing price.